Mariners Pitcher Rob Whalen On Dealing With Depression: "We Need To Change The Stigma That You're Fragile If You Talk About It"
Whalen said that he’s dealt with depression and anxiety since he was a teenager, but he didn’t discuss his mental health with anyone or begin to understand it until a discussion with a team psychologist a few years ago when he was in the Mets’ minor-league system. 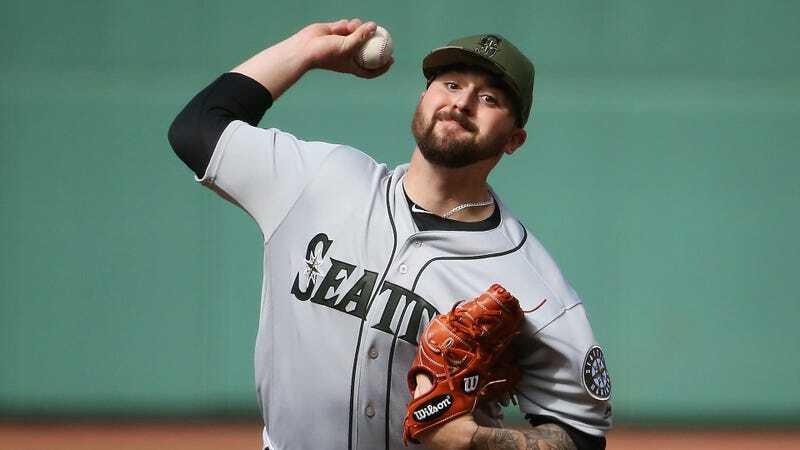 His mental state got worse as he was traded to the Braves—with whom he made his major-league debut in 2016—and then the Mariners, until he finally felt like he had to step away from the game for a stretch last July. Whalen said he’s been moved to speak out by the suicide of Washington State quarterback Tyler Hilinski last month, wanting to help others in similar situations know that they’re not alone.